AF God Indica Shatter: A F God is an Indica dominant hybrid cross of God Bud and OG Kush bred by Jordan of the Islands on Vancouver Island in British Columbia. This strain is a go-to for those well experienced with Cannabis consumption and is easily recognizable as a Kush variant. Being used mainly for pain relief, this tasty, hashy shatter will have users intoxicated with waves of relaxation. 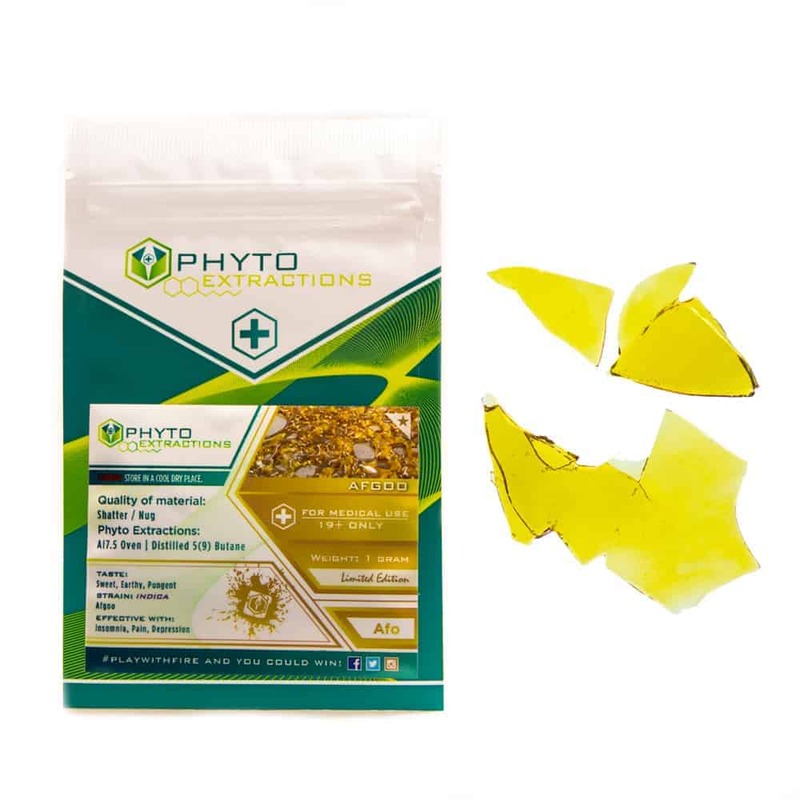 2 reviews for "Phyto – AF God Shatter – Indica Shatter"